Maya Lin, “Maya Lin,” Histories of the National Mall, accessed April 22, 2019, http://mallhistory.org/items/show/71. Maya Lin won the design competition for the Vietnam Veterans Memorial in 1981. She was an undergraduate student majoring in architecture at Yale University when her design was chosen from nearly 1,500 entries. She proposed an abstract design in the shape of an open V, meant to look like a healing wound. Known as "the Wall," the Memorial was not liked by some members of Congress who expected a more traditional monument that looked like others present on the Mall. Lin defended her design before Congress, and visitors and veterans eventually embraced this design. Wikimedia Commons. View original image. Maya Lin was born in Athens, Ohio. Both of her parents were professors at Ohio University; her mother, a poet, taught Literature and her father, a ceramic artist, was Dean of the College of Fine Arts. Lin received a Bachelors of Arts in 1981 and a Master of Architecture in 1986 from Yale University. An artists as well as an architect, she has created outdoor installations across the country. In addition to her work on the Vietnam Veterans Memorial, Lin has designed many prominent pieces, including the Civil Rights Memorial in Montgomery, Alabama and the Women's Table at Yale. In 2005, she was elected to the American Academy of Arts and Letters as well as the National Women’s Hall of Fame in New York state. 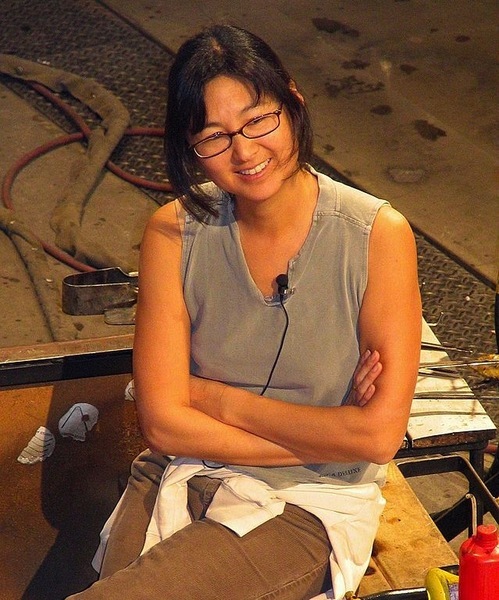 Her studio, Maya Lin Studio, is based in New York City.